Theme: Take care, my dear. It is finally summer! Without a doubt, the summer is my most cherished time of the year. My affinity towards the summer months primarily stems from the fact that the weather is consistently habitable, and this my friends, greatly impacts my mood and attitude towards life. Also, the fact that I have two months for self exploration, two months to recreate and realign my reality, two months to plan, two months to unlearn and relearn life lessons, is simply phenomenal. I cannot think back to a time where my summer was uneventful. However, even in the bests of seasons, I still hear my grandmother’s last advice, ‘make sure you remember to take care, my dear’. And so I encourage you, the reader, to take special care, during these summer months. The summer months often afford a perspective on life that encourages self liberation, creativity and unbounded optimism. And naturally, the structures that I have developed throughout the year, generally tend to erode as I begin my summer excursions. However, my primary goal is to be more mindful this summer. I have learned that things that tend to come easy, leave easier. Spontaneity should be compartmentalized and thoughts without actions are merely ideas. So in an essence, self discipline equate to success. Lately, I have been wondering about the small community of individuals that have consistently returned to read what I have to share. I first want to say thank you for choosing to accompany me on this journey. Thank you, for ignoring the off beat rhythm of the journal. Thank you for reading past my grammatical errors. Thank you, thank you, thank you. Lately, my studies has docked on the beaches of Naturopathic medicine. Naturopathy, or the study of natural remedies to cure ailments, has been around before the dawn of written records. An application of Naturopathic medicine that is particularly important for the summer months is hydrotherapy. Hydrotherapy, or the branch of alternative medicine which focuses primarily on waters impact in the body, is a widely accepted scientific approach of early civilizations across the globe. “Water in all forms-from steam and water vapor to liquid and ice-was used to treat injuries and ailments in ancient societies. Roman bathhouses exist across Europe and Native American tribes practice traditional hydrotherapy in sweat lodges and natural springs.” (National Geography -Natural Home Remedies). However, some of the basic guidelines behind proper hydration is somehow forgotten or lost in modern times. For example, most nutritionists recommend that an adult consume 6-8 (8ounce) cups of water daily. Primarily for the fact that “drinking water is the most important therapy of all therapies, because absolutely nothing in the body does not depend on it.” (Timeless Secrets of Health and Rejuvenation, Andreas Mortiz). And unfortunately, most continental american adults consume only about 4 cups of pure water daily. Studies show that 75% of Americans, may suffer from chronic dehydration. Dehydration is perhaps the most common, yet largely unrecognized problem prevalent in modern societies today. Alcohol, coffee, tea and sodas, have become the primary choice for satisfying thirst, especially among the younger generation. The principal effect of these beverages however, is to remove water from the blood, cells and organs. [Therefore] drinking enough fresh water is an essential prerequisite for avoiding diseases and slowing the aging process. Adequate water consumption will ensure that the 60-100 trillion cells in the human body, receive their daily-needed ration of water in order to maintain efficient digestion, metabolism and waste removal. [It is important to note that] the hardening of our cell membranes is an initial reaction to chronic dehydration. To protect themselves against further loss of water, [cells] make their membrane less penetrable to water diffusion by pulling in extra amounts of fats, including cholesterol. This survival mechanism, however, also prevents metabolic waste from leaving the cells, causing them to suffocate in their own waste. Some of the cells, in order to survive in this toxic [cellular] environment, may eventually need to undergo genetic mutation and become cancerous. (Timeless Secrets of Health and Rejuvenation, Andreas Mortiz). It is best to start the morning off with a cup of warm water (in an essence to break the drought of the night). Your second cup of warm water in the morning (should be at least 30min before breakfast. This aids in the thinning of the blood, enabling a higher chance of absorbing nutrition from your breakfast meal) this cup of warm water could also be accompanied with (honey/lemon/apple cider vinegar etc). 2.5hrs after your breakfast, it is recommended to drink a cool glass of water. .5hrs before you consume your lunch (the most important meal of the day) you should drink a cool glass of water. 2.5hrs after lunch, drink another cool glass of water. .5hrs before dinner consume another cool/warm glass of water. And before you go to sleep, it is recommended that you drink at least one glass of water. I know, this curriculum seems intense (lol), but I promise, its simply drinking pure water, 8 TIMES in at least 12 HOURS. Also, these times are all estimates, do not feel as if they are set in stone. While restoring proper hydration to the body, this should be monitored and recorded carefully. It is best to seek the advice of a nutritionist or naturopathic doctor if you believe that you are chronically dehydrated and would like to graduallyrehydrate your cells. It is in our best interest to sleep when we are tired. The drowsy feeling that is associated with fatigue, is how our cells communicate to our bodies that it has done enough for the day, it is time to rest. However, as the summer unfolds, more and more adults are loosing countless hours of sleep because ‘sleep is just, sleep, you can sleep whenever.’ I believe it is very important to note that there is NOTHING truthful about that statement. And unfortunately, this myth assisted in giving rise to a larger problem. Studies show that insomnia is the most common sleep complaint amongst most Americans. Certain medical conditions and medications can trigger insomnia. But for the average healthy person, it’s usually brought on by anxiety and stress, [leading to abnormal sleep cycles] and aggravated by [excessive] alcohol and caffeine. (National Geography -Natural Home Remedies). However, studies also show, that “if your body produces a good amount of serotonin (a sleep/mood regulatory neurotransmitter that is synthesized in the brain but is mostly manufactured in the stomach during the daytime,) it will also produce sufficient amounts of melatonin (a sleep induced neurotransmitter that is produced in the pineal gland during the nighttime), provided your eyes are closed.” (Timeless Secrets of Health and Rejuvenation, Andreas Mortiz). Therefore, depending on the amount of serotonin produce during the day, this will impact the amount of melatonin produce during the night, allowing us to have a restful sleep. So, in laymen terms, sleep when the sun is down and be active while it is shining. For my coffee loving friends, caffeine, which has a similar molecular arrangement to adenosine (a neurotransmitter produced in the brain that causes fatigue) often will bind to adenosine site receptors, blocking adenosine molecules from communicating to the body that it is actually tired. This leads to a build up of adenosine molecules, however, the body only responds to the adenosine molecules, AFTER the caffeine wears off, and suddenly, the body experiences an overwhelming feeling of fatigue, or what we call the 3-o’clock feeling. If our bodies are constantly exposed to these abnormal intervals of sleep and wakefulness, then, our homeostatic sleep drive and circadian processes will be off, leading to chronic sleep depravation. This unfortunately leads to a greater risk of heart attacks, high blood pressure, diabetes and stroke. A general rule of thumb as it relates to sleep cycles is to follow natures path. Most nutritionists recommend that we align our biological rhythms with natures flow. For example, the sun rises at 5:30am in NYC during the summer, therefore, we should be waking up around 5:30am. The sun sets at approximately 8:30pm, so reason follows that we should be settling down, getting ready to sleep about 2.5-3 hours after the sun sets. This is a video from the roof of my NYC apartment. The smoke you are observing, is emitted from the furnace of a neighboring building. There is no need to be frighten by the video, this is the reality of living in a large city such as NYC, the air, the water and the soil is often contaminated. And given that this journal stems from a solution driven perspective, here is what we suggest. Plant-therapy, or the initiative to identify and include specific plants as part of your living space, is a necessity for urban dwellers. I intentionally include plants in my office and apartment to purify, enhance and cool the ambient air. “Studies show that common indoor plants may provide a valuable weapon in the fight against rising levels of indoor pollution. NASA scientists are finding them to be surprisingly useful in absorbing potentially harmful gases and cleaning the air inside homes. A few plants that I have included in my indoor garden to specifically combat the onslaught of pollution found in the NYC air are Bamboo palm, Aloe Vera, and Philodendron. I have found these plants to be extremely resilient. They are also excellent as ornamental plants, and as mentioned, are great at removing formaldehyde, carbon monoxide and other toxins from the air. Lastly, it is important to note that NYC summers also bring a host of unwanted guests such as mosquitoes, gnats, flies and other annoying bugs. Plants should also be your first defense against the unwanted intruders. I highly recommend including herbs such as Lemongrass, Basil, Lavender or Mint to your indoor garden, in the hopes of detouring those unfriendly guests. Let us never forget, our health is in our hands. No one can make you healthy but yourself. 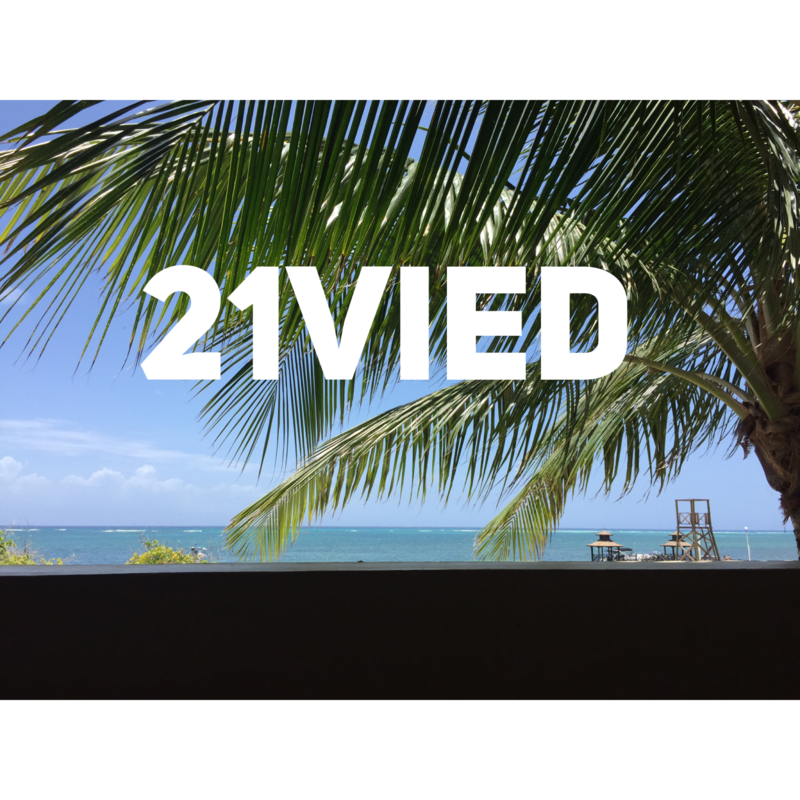 My hope is that you enjoy your summer to the fullest, and once again, thank you for taking this year long journey with 21vied.org. And ‘remember to take care my dear.’ -Hyacinth ‘Vie’ Mighty. Previous PostSPRING: Health + Nutrition. Next PostThe (modern) Cell Theory.